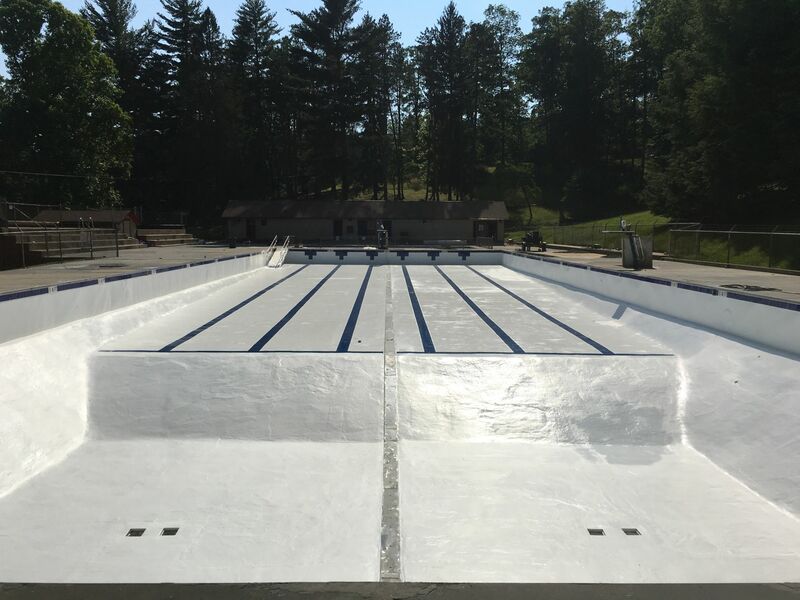 This commercial pool was covered with layers of epoxy paint that had chipped and peeled over the years, the marcite that was under the epoxy coating was failing and popping off in multiple areas. 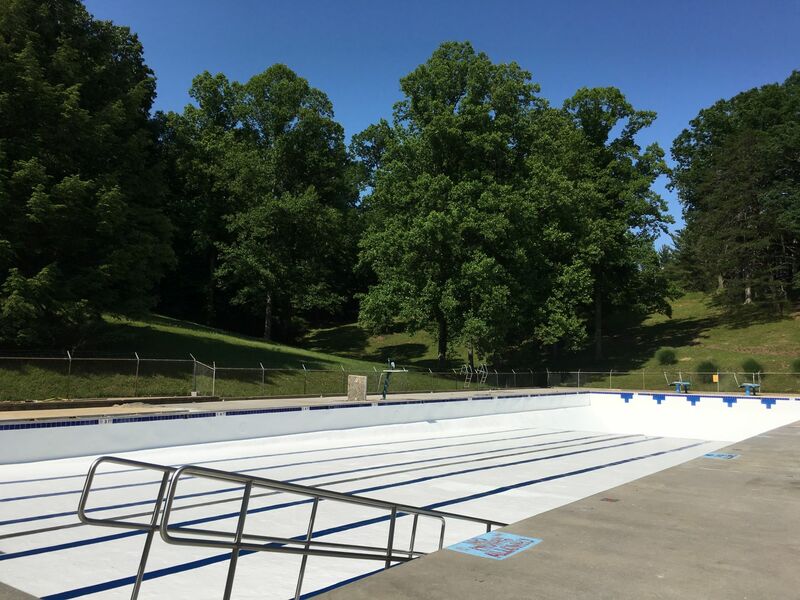 The pool was closed as it lost over four thousand gallons of water a day. 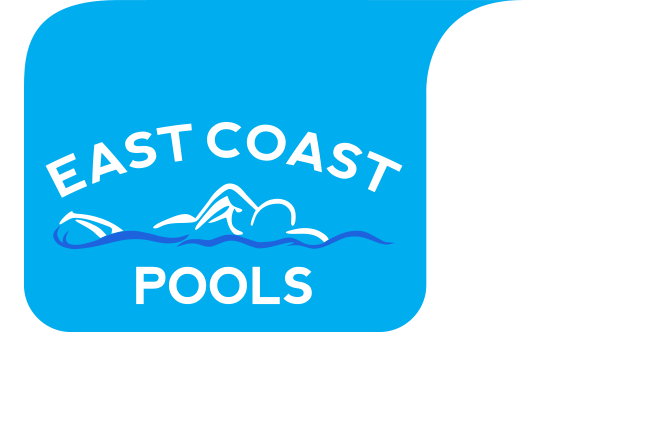 East Coast Pools Installed their fiberglass liner resurfacing system and gel coat over the entire pool surface (15,000 sq. ft.). 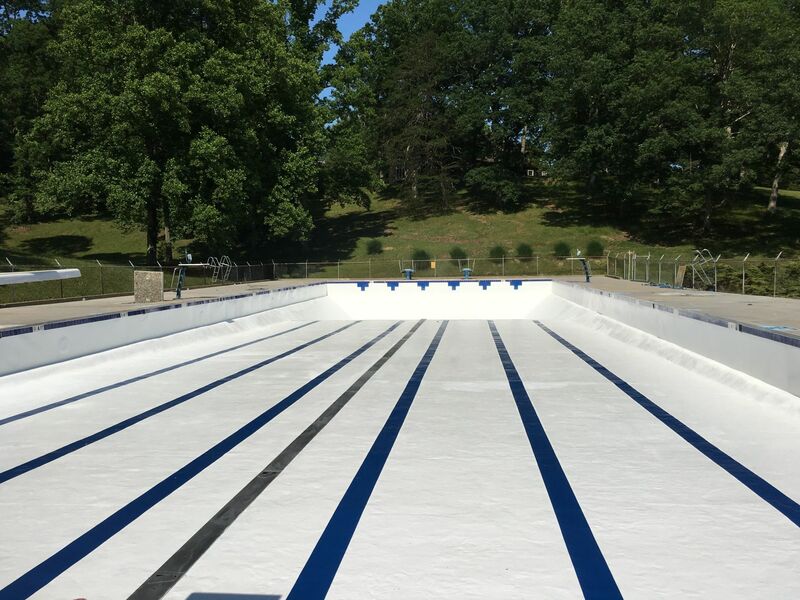 We also install perimeter pool tile and swim lanes, the pool no longer leaks a drop! One week after the swimming pool was completed and filled with water the thousand year flood hit this area and covered the entire pool with three feet of water filling the pool with flood debris, we returned to the pool location after the flood and cleaned the pool for the community. 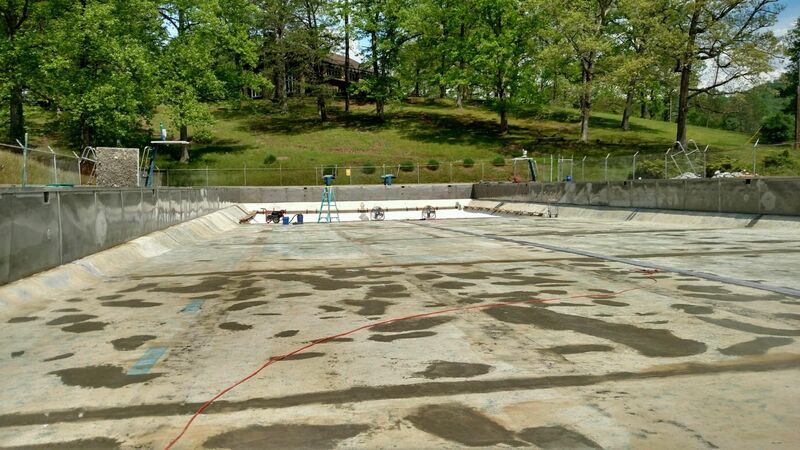 The fiberglass liner system cleaned up with not one stain left on surface.